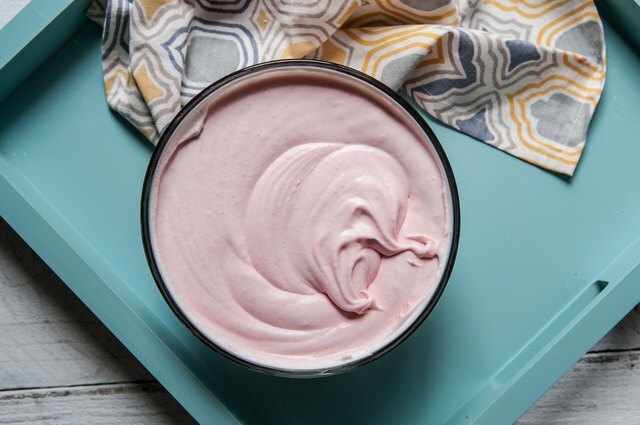 Making the perfect homemade strawberry ice cream can be tricky for something so simple. (Really, I blame the berries!) 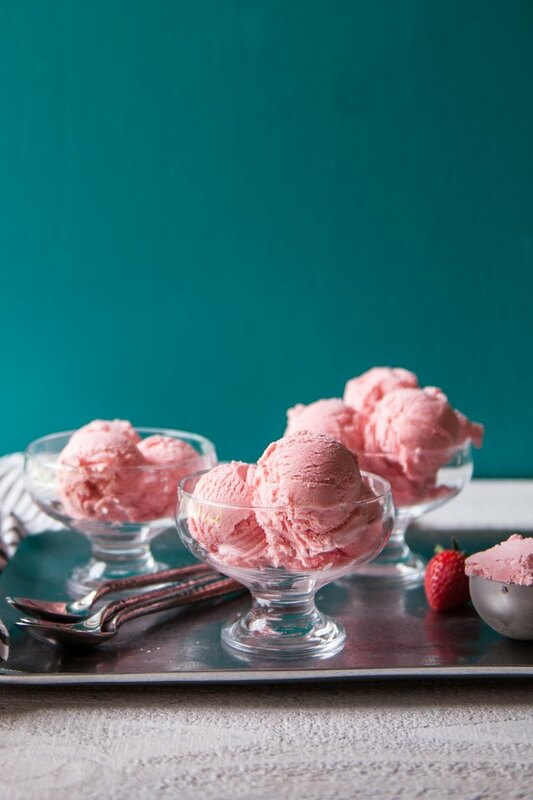 But have no fear: I've got not one, but two secrets to making the best, most perfect strawberry ice cream. It's such a simple and easy, no-cook method, you'll want to make this all summer long. The same beauties that give us that delicious flavor and gorgeous color are at fault here. First, there is the issue of water. 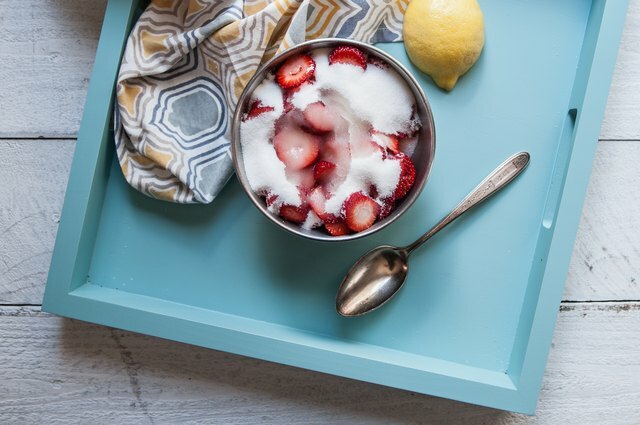 Strawberries are an incredibly water dense fruit which can cause the ice cream to crystalize. "So, I'll just cook them first!" you say? Well, you can but you'll be removing the beautiful bright pop of that fresh berry flavor. And isn't that why we're all here? Lucky for us a super sneaky ingredient helps us tackle that issue: corn syrup. This sly little sweetener impedes crystallization. Problem solved. 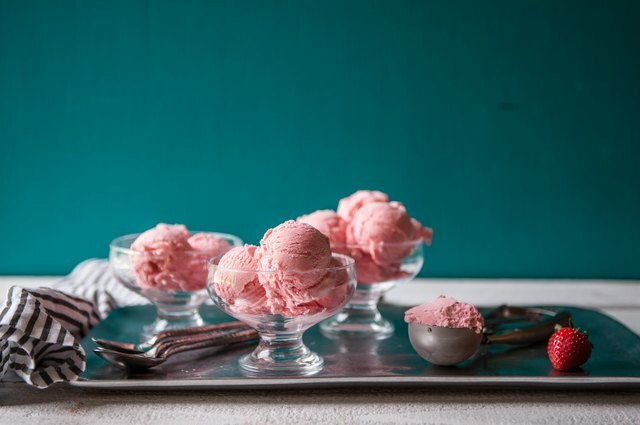 Second, that distinctive flavor can get lost in a rich ice cream base. You want it creamy, but not so dense that you can't taste the star ingredient. The answer: use an eggless base. Strawberries will not ripen off the vine. Buy the ripest you can find and use them right away! 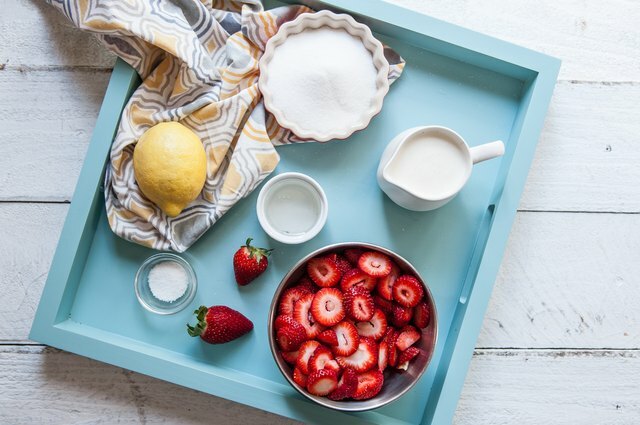 Add the strawberries, sugar, salt and lemon juice to a bowl. Stir to combine. Allow to sit at room temperature for 20 minutes while you prepare the rest of the ice cream. 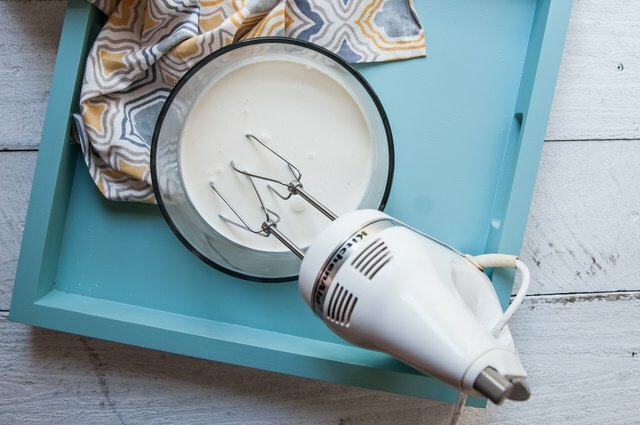 Add the cream to a medium bowl and beat until soft peaks form. 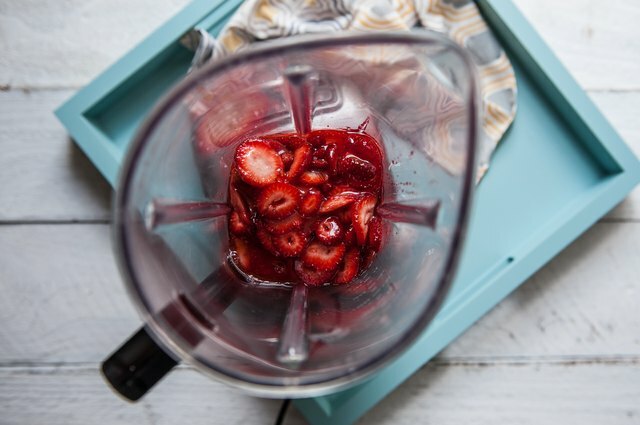 Add the corn syrup, strawberries, and any liquid that has collected in the bowl, to a blender. Blend until smooth. 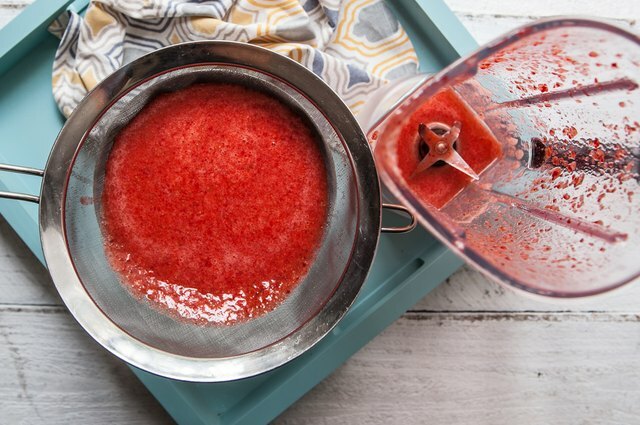 Pass the strawberry mixture through a strainer to remove the seeds. Add the strawberry mixture to the cream, and mix until well combined. 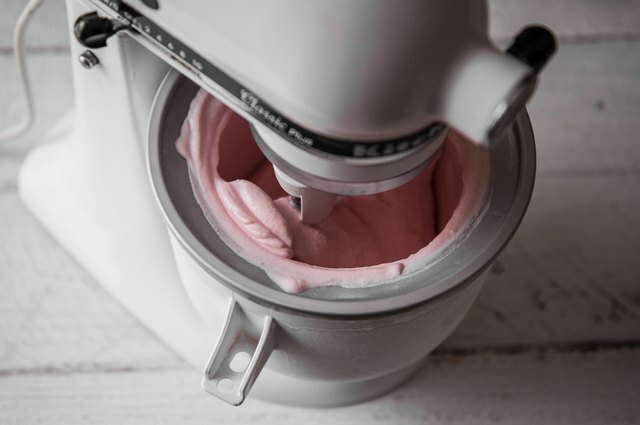 Churn in your ice cream maker according to manufacture specifications. Add to a freezer safe container and freeze until hardened, about 2 hours.